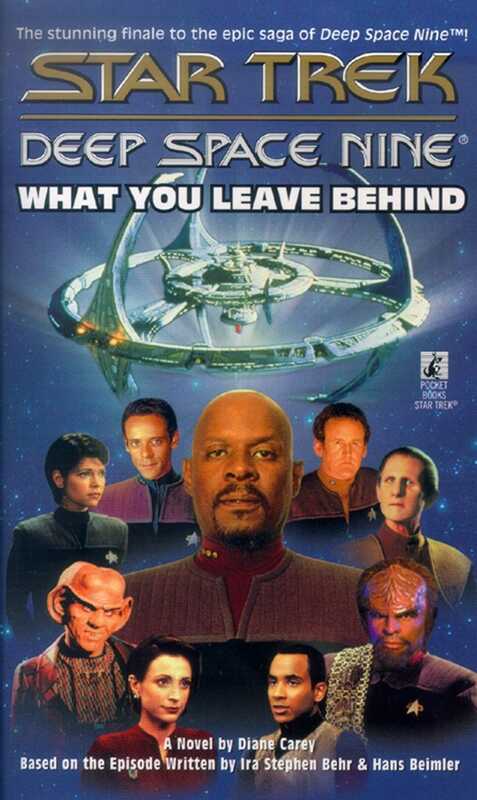 Seven years ago, Benjamin Sisko took command of an alien space station newly christened Deep Space Nine. There he met Kira Nerys, Odo, Miles O'Brien, Quark, Worf, Julian Bashir, and many others who would touch his life deeply. He also found a new and troubling destiny as the long-awaited Emissary to the mysterious wormhole entities known as the Prophets. Now, after years of triumph and tragedy, and a cataclysmic war that rocked the entire Alpha Quadrant, Captain Sisko and his valiant crew face their final challenge. No one is safe, nothing is certain, and not even the Prophets can predict the ultimate fate of Deep Space Nine!